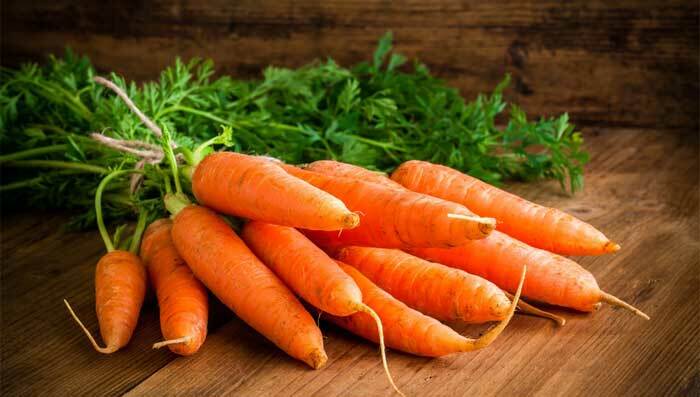 Vitamin A is crucial for the maintenance and repair of skin tissue. If your vitamin A levels drop even a little below normal, you're likely to see some skin-related symptoms, including a dry, flaky complexion. But if you follow this skin care tip and eat fruits and vegetables that are loaded with vitamin A, you'll notice a huge difference like reduction in lines and wrinkles, good acne control. Vitamin B (biotin) is a nutrient that forms the basis of skin, nail, and hair cells. Its deficiency can cause an itchy, scaly skin reaction and sometimes even hair loss. Your body makes plenty of biotin, and the nutrient is also in many foods, including bananas, eggs, oatmeal, and rice. So be sure to replenish your vitamin A by eating these wholesome foods for glowing skin and thick hair. Vitamin C is essential for your body and plays an important role in making your skin healthy and resilient. Though young skin is full of vitamin C, as it ages with time, it begins to lose its natural lustre. Other factors like exposure to UV light, pollutants and cigarette smoke further reduce the vitamin C content in your body. But you can still fight back by replenishing your skin’s vitamin C levels by including plenty of vitamin-C rich foods like citrus fruits and vegetables in your diet which can replace the loss of the vitamin through the skin. Vitamin D is very different from the rest of the vitamins because our own bodies can manufacture it with sunlight exposure. Besides playing a vital role in regulating the absorption of calcium and phosphorus in our bones, it aids in cell to cell communication throughout the body. Frequent exposure of the skin to sunlight promotes sufficient vitamin D synthesis without the need for supplements. However, it is highly advised to frequently wear sun protection whenever you go out to catch some sun. As a person ages, the elasticity of the skin, especially on the face, decreases and produces sagging and wrinkled skin. Vitamin K works great as a skin care tip because it promotes an increase in skin elasticity and helps reduce the wrinkles that form with ageing.